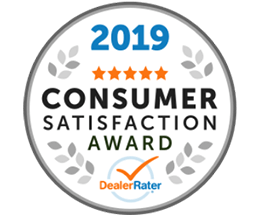 Here at the Elhart Automotive Campus, we firmly believe that you should have the best experience possible when shopping for a new or new-to-you car. *We take pride in the community we serve, and have been helping give back through the Elhart Cares program! *There's no automated telephone attendant at any of our dealerships -- every call is answered by our friendly receptionists! *The Elhart Automotive Campus offers preferred financing for all customers! *Make yourself right at home while you wait, as we have free Wi-Fi, coffee, tea, hot chocolate and other refreshments for you to enjoy. *We offer a variety of perks for service customers, including a free alignment check with every visit and tire storage with the purchase of a new set of tires!